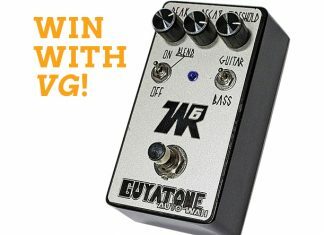 So, Clarence “Gatemouth” Brown and Waylon Jennings walk into a bar… No, wait, they walk into a NAMM Show. 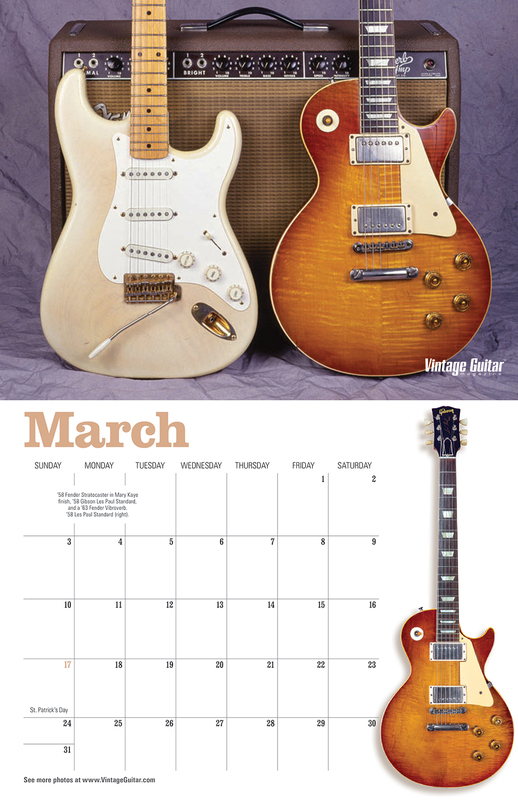 And, no joke, when they carry their iconic tooled-leather Firebird and Tele, respectively, past the Homestead HS50, with its eyecatching raised-pattern “Country & Western Brown” cover, they have no choice but to turn around and plug in. 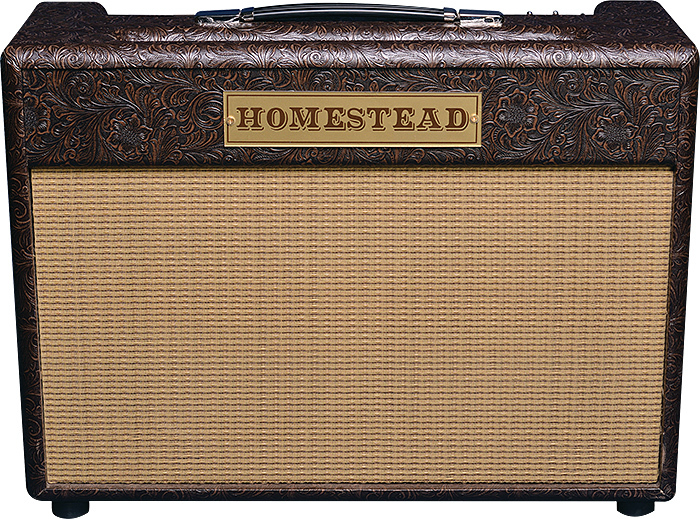 There’s a lot more to the 50-watt Homestead HS50 than a hip, stop-you-in-your-tracks tolex cover, though, and all of it smacks of quality. The HS50’s control panel carries Master, Volume, Treble, Bass, and Reverb controls, along with Standby, Power, and Half/Full power switches. 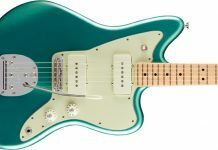 Three pull switches on the Volume and Tone controls provide Bass Cut, Mid Boost, and Bright functions. 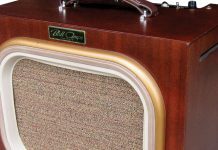 There are two input jacks – Hi and Lo – and dual 60-watt Celestion Vintage 30 speakers are mounted in a birch-ply baffle. 6L6 power tubes are standard and everything is individually wired, point to point, in the United States. The works are mounted in a finger-jointed knotty-pine cabinet – the only part of the assembly not produced in-house. Fifty watts of Homestead combo amp is loud when you need it to be, but the HS50’s thoughtful design includes the capability to power down 50 percent when necessary. 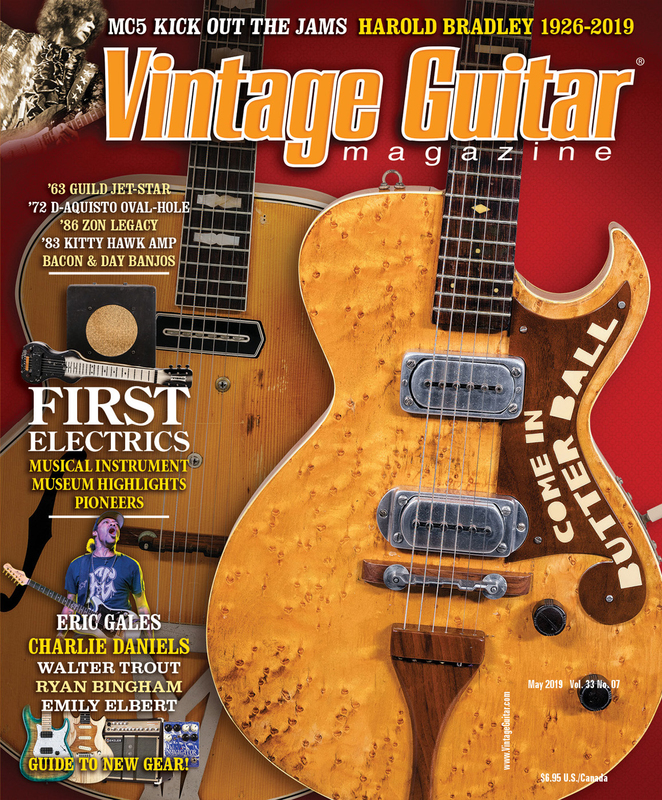 Homestead founder Peter McMahon (late of legendary Diaz Amplifiers) noted recent trends toward beefier guitar sounds after an era of single-coil popularity, so varying guitar outputs can be governed by selecting the HS50’s Hi or Lo gain input. 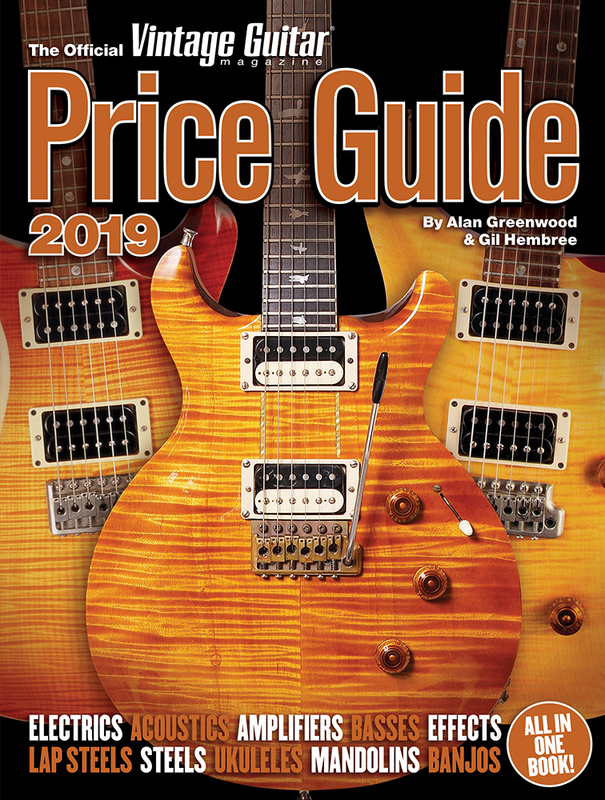 EQ is performed through the tone controls, but the pull switches carry the soundscape into new territory entirely, highlighting the low, mid, or high frequencies so that any guitar can deliver the goods when it’s time to step out and blow. 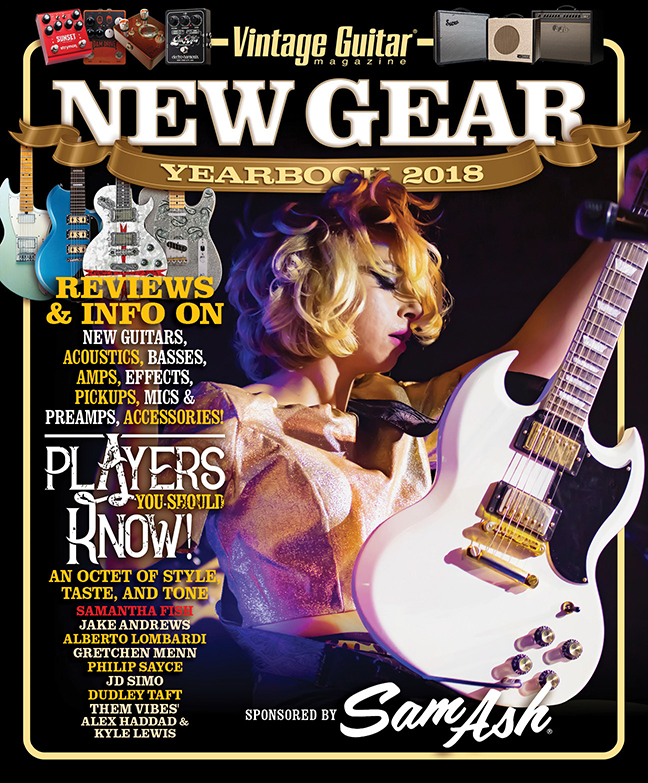 We fed a cranked HS50 a diet of TV Jones Filter’Trons, a vintage DeArmond Dynasonic, a Travis Morris Charlie Christian-style single-coil, PRS 57/08 humbuckers, and Kent Armstrong stacked Strat replacement pickups. No matter what pickup or body construction we wired up, the Homestead delivered plenty of clean gain, with the character of each instrument, the chime and twang of the Filter’Trons, and the horn-like smoothness of the Charlie Christian magnified and accentuated. 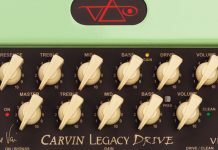 Even at overdriven, high-gain volume, the texture of fingers on the strings came through, a subtly detailed sound despite the full roar pushing out of the Celestions. The reverb was lush with a lengthy decay, leaving an airy trace behind single-note improvisations. Cranked, the combination of Homestead power and tone with the reverb on 4 produced cinematically orchestral chord volume swells with a lengthy delay. Plug and play? Pretty close, but that’s a lot of power to take into consideration. We placed the HS50 in its own recording studio isolation booth and quick-dialed in a distinctive overdriven voice to be tracked live with voice, acoustic, organ, bass, cajon, and drums. 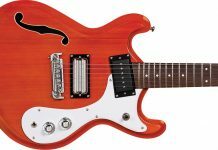 The electric guitar sat in the preliminary mix like an angel on a cloud, with a certain transparency that allowed space for the rest of the instrumentation. 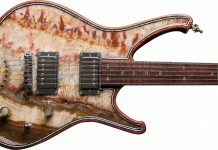 Cranking the master to full with the volume at 3, we let the HS50 carry us through single-note and double-stop passages, finding harmonics where we didn’t believe there were any while tinkering with the pull pots and coaxing the PRS humbuckers into eternal sustain. 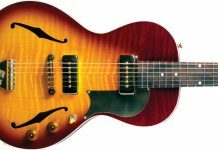 The ability to step down the power by half or plug into the Lo input to relieve a little sound pressure from a DeArmond Model 1100 fitted onto a 173/8” archtop made the guitar considerably less feedback-prone. Not many of us are going to wheel the HS50 into a 5,000-seat venue and let those 6L6s glow, no matter our professional aspirations or musical fantasies. But, tone like the Homestead HS50 delivers, and it’s irresistible at half or full power. Besides, the amp just might be good-looking enough to occupy prime real estate at your house. No doubt it would catch the eyes of Clarence and Waylon.